First of all if you don't know what the SunGun is click here . It's (until now) the best swirl-spotter money can buy. Roughly £400 to buy. £50 for a new bulb. £70 for a spare battery. The good news is that there's no patent for the SunGun only the light source. You can buy the light source for a few pounds. 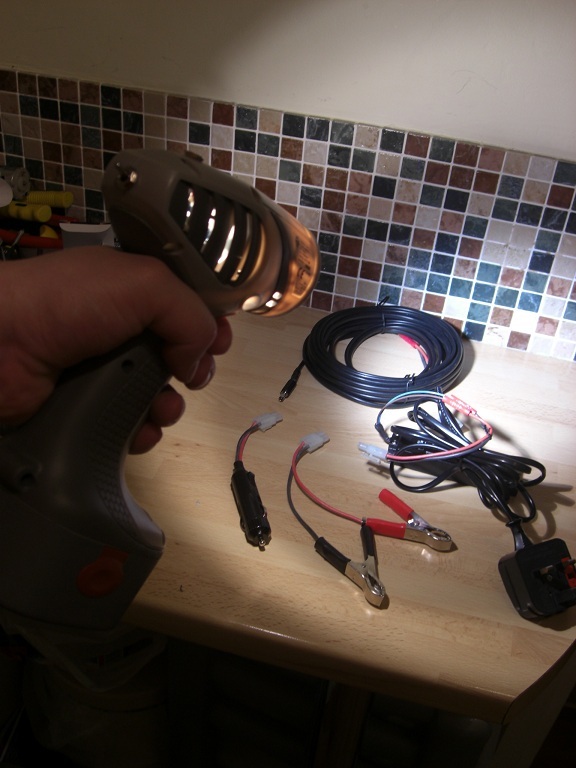 This means you can make your own SunGun with identical light output for swirl spotting very cheaply. The Solux bulb I bought for £8.95 + P&P is the one mentioned in the 3M patent for the SunGun! Edit: the bulb is nearer £20 but still worth it. Check out page 7, 2nd paragraph of 'Detailed Description of the Invention'. I took the basic idea and developed it with the ultimate aim of dropping the voltage down to safer levels, battery/external power from home/car, being as cheap as possible. This can be made by anyone who can wire a plug with basic tools. *Edit: Don't bother with the fancy external power supplies - it's not worth the hassle* I have left my guide below but to be honest all you need is the guide Bero made. In my opinion this is what DW is all about - sharing ideas and helping each other. Estimated build cost is £18 for Zero's version or £26 (edit: now near £40 due to bulb price increases) with a colour-corrected bulb with the same characteristics as the real SunGun. My version costs roughly £45. 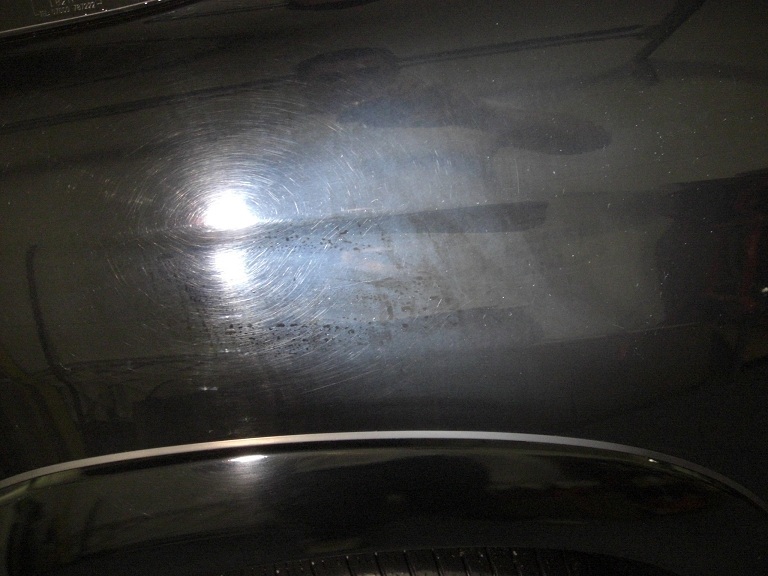 It could be a bit more or less depending what you've got rattling around in the back of the garage/cupboards. Here's a teaser for you guys while I type this guide up. It might not be complete tonight so please be patient. If you make one please test it before using it and I'd highly recommend not putting in a locking 'on' switch. I've kept mine of for more than 12 mins at full power and there was no sign of heat damage/melting. It's unlikely you'll have it on for longer than 30-60 seconds in practice. Note internal/external power switch on the back and DC-in connector on the top. It's difficult to see on this pic but you'll see below that the big cable connects to any of the 3 connectors using a quick-release connector. There's even room for a spare bulb. Note internal/external power switch on the back and DC-in connector on the top. Here it is working off battery power to prove it's real. There are lots of different possibilities with this but hopefully between Zero and I you will have enough information to make one of these yourself. Feel free to share pictures of your own and specs in this thread to help others and show off your work. 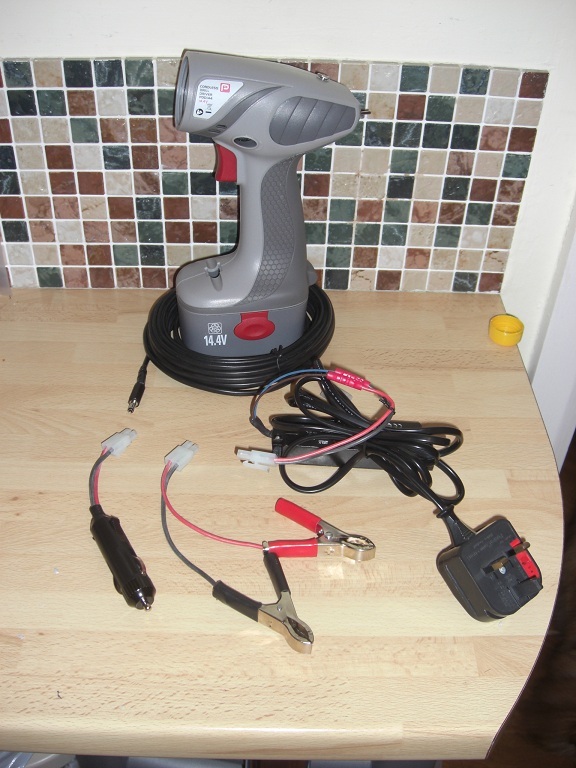 Let's start off with Zero's helpful guide based on the 12v £9.99 drill from B&Q. Firstly I would like to say thank you to Angajatul, Grantwils, Nath69uk and everyone else in this thread for all their input (Apart from Mr.Cooper....no soup for you ). DISCLAIMER: I am not responsible for any damage that may be caused to you, your property or your collection of white snake posters by following this DIY; you do this at your own risk. Anyway, lets cut to the chase. On arriving at the drill section in B&Q I was presented with many options, however there was only one logical choice for the job. 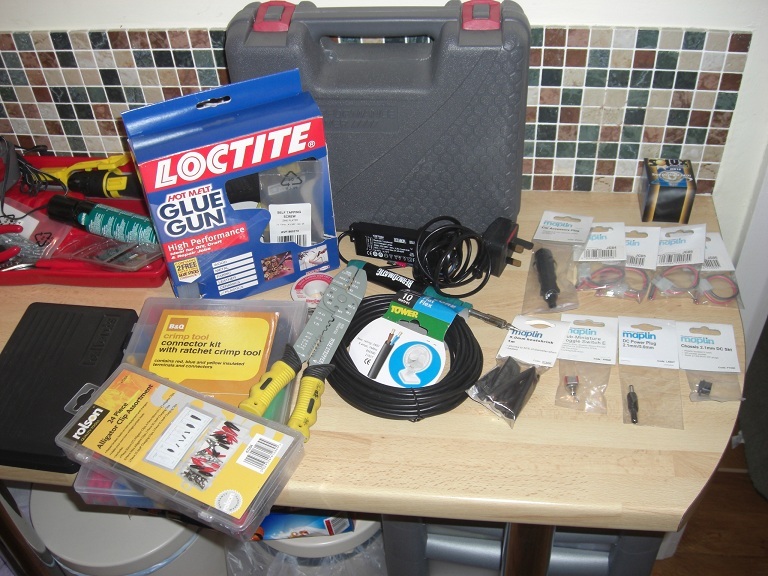 €12.20 for everything including a battery, charger and a spare screwdriver bit which I can use somewhere else; bargain. These downlight fixtures are in the lighting aisle and not in the same aisle as the bulbs. 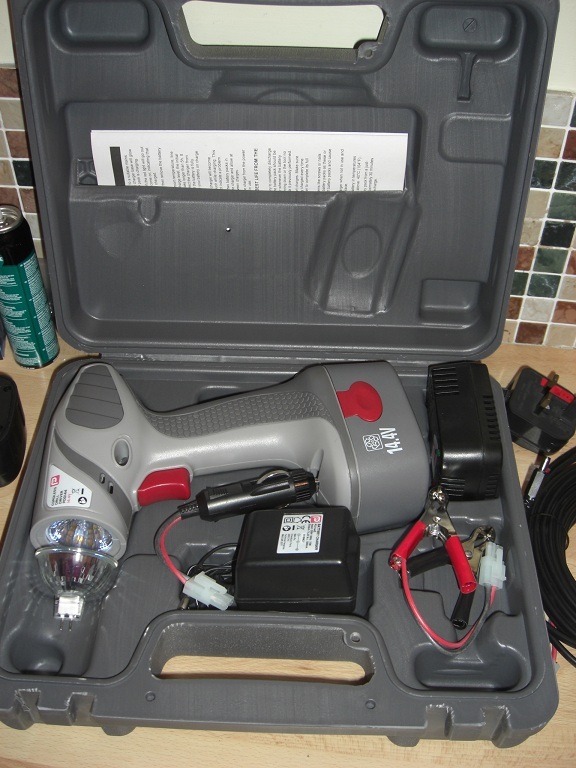 There are two options for what to buy here; both include a 35 Watt MR16 GU 5.3 bulb, a 240v to 12v transformer (which isn't needed but can be used for creating a mains supply for the "SolarGun"), instructions for it's "proper" use and either a fixed or tilting ceiling mount. These bulbs are the same as the bulb included in the kit. You can buy them as spares should you manage to break your included bulb; I opted not to buy these as the money is better spent on colour corrected bulbs. This is everything that is included in the two boxes, save for transport cardboard and instruction manuals which were instantaneously recycle binned. Included in the downlight kit is a bulb, a transformer (currently not in disguise ) and a ceiling mount. The bulb is removed from the ceiling mount by pulling together the ends of the spring clip on the front. 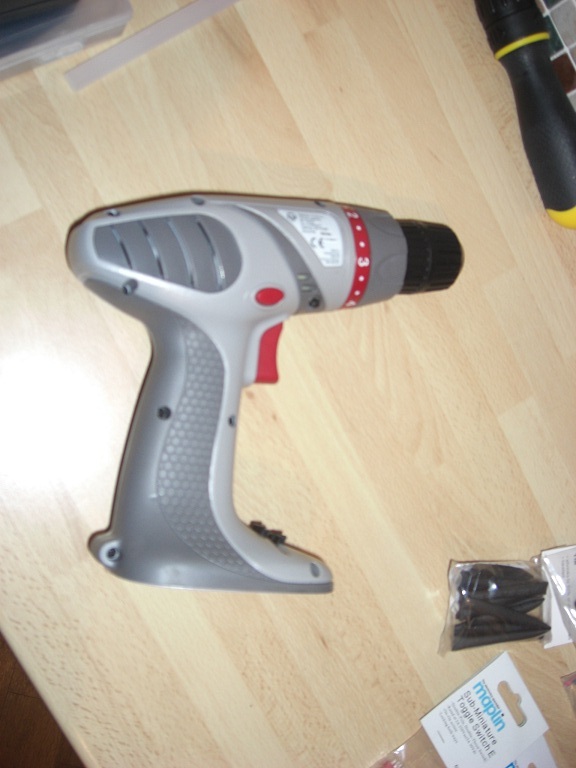 Included with the drill is charger, battery and screwdriver bit. Firstly you need to remove the 8 screws in the indicated positions. 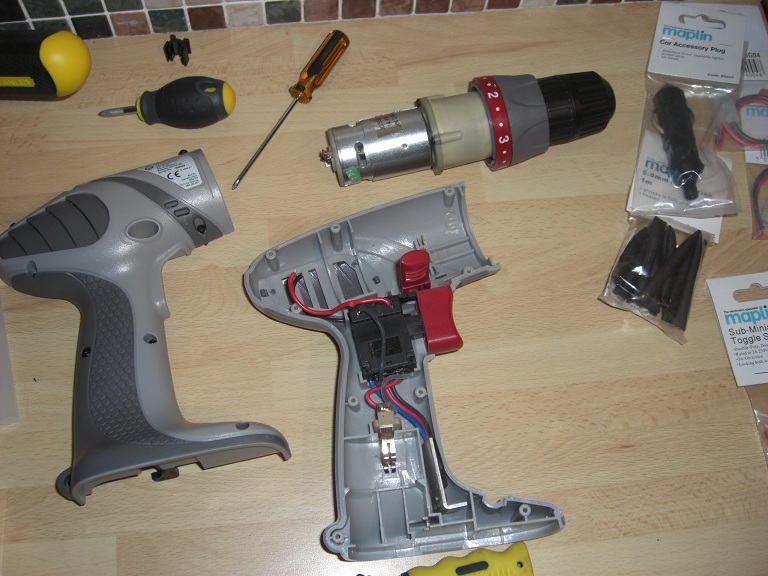 Remember, the plastic is cheap and the screws need to be re-used so don't be too hasty with your disassembly. The bounty within includes a trigger switch, a battery connector, a DC motor, 8 philips head screws and the soul of a deceased Japanese shogun warrior (Your poltergeist may vary). The next step is to cut the positive and negative cables to the motor. I cut close enough to the motor to provide adequate cable length for the switch but left enough on the motor to make an easy connection should I decide to re-use it. I then stripped some of the casing from the wire to leave roughly 5mm of exposed wire at the end. I then cut the bulb connection off of the transformer roughly half way along. I later shorted the wires on the bulb connection by 3 or 4 cm as they were too long, so take this in account when cutting yours. The bulb was then pushed into it's holder and then using the forward/reverse slider which is no longer needed, I propped the bulb up against the end wall. This seemed to hold the bulb in place adequately, however the end of the slider which sat against the drill case didn't sit completely flat. Using a file, I rounded the end of the slider to allow it to sit flush against the curved case. Then, in a further attempt to make slider sit flush, I increased the angle of the chamfered edge from roughly 45 degrees from horizontal to roughly 30 degrees from horizontal. Everything was then put back into the case, with the slider sitting against the plastic pillar at the end, in the channel of the motor mount and against the bulb holder. 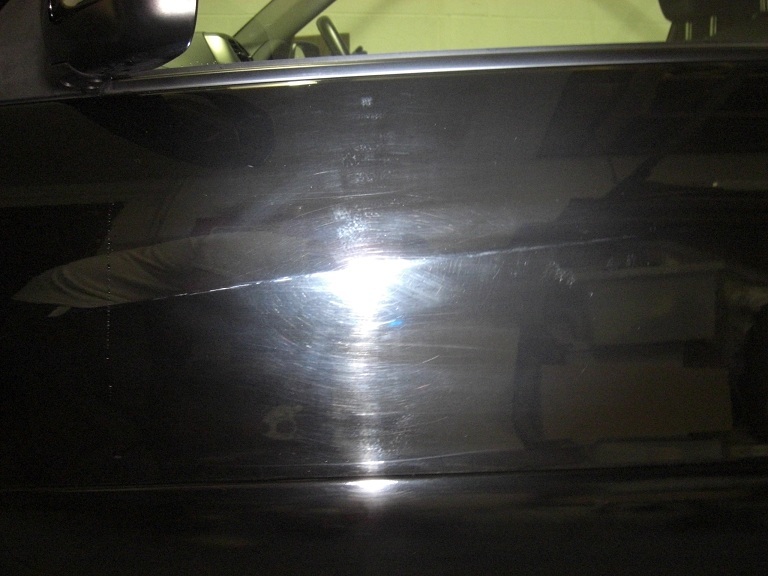 It was then glued as per where the arrows indicate. While I was in B&Q, I picked up this bag of wire connectors for €1. They are used for joining wires end to end, so seemed perfect for the task. 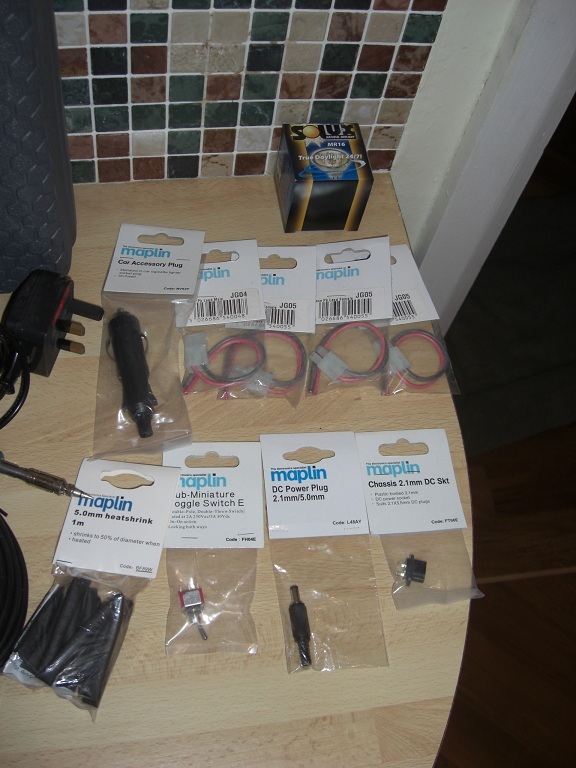 ...and then these were connected to the live and earth cables from the bulb, with the blue wire connecting to the red wire and the brown connecting to the black. The case is then reassembled, the battery is connected and then you're pretty much finished.....now lets go play! It was difficult to capture the actual brightness of the SolarGun as I had my camera set to self adjust the exposure, but this should give a rough idea of the brightness. 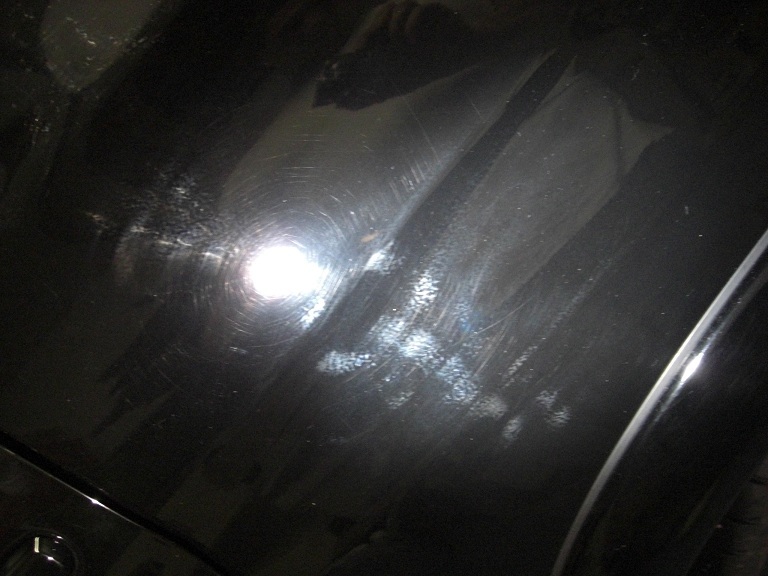 Then, using some Menzerna S500 and PO85RD on a SFX-1 pad, I polished an area of my bootlid using my DAS-6 Pro which I got from CYC . 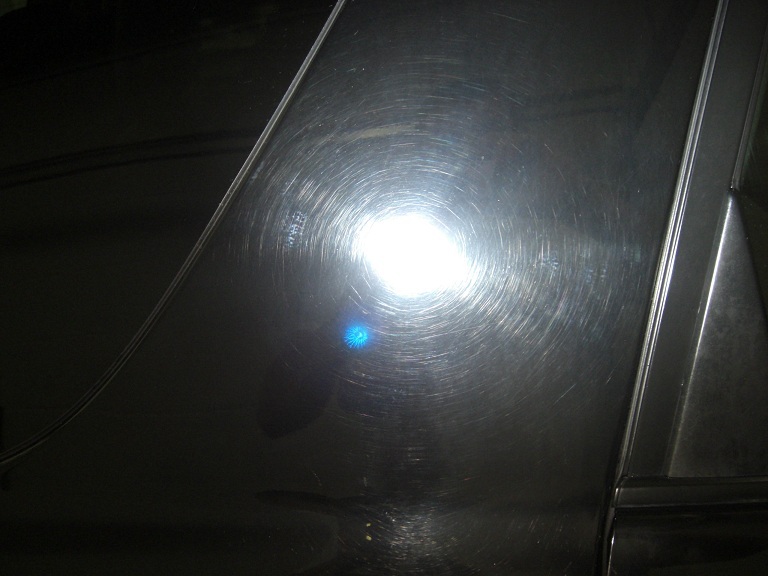 A lot of the RDS remain as the car is an e36 BMW so has typically rock hard paint, but the photo is mostly for demonstration of the SolarGun. 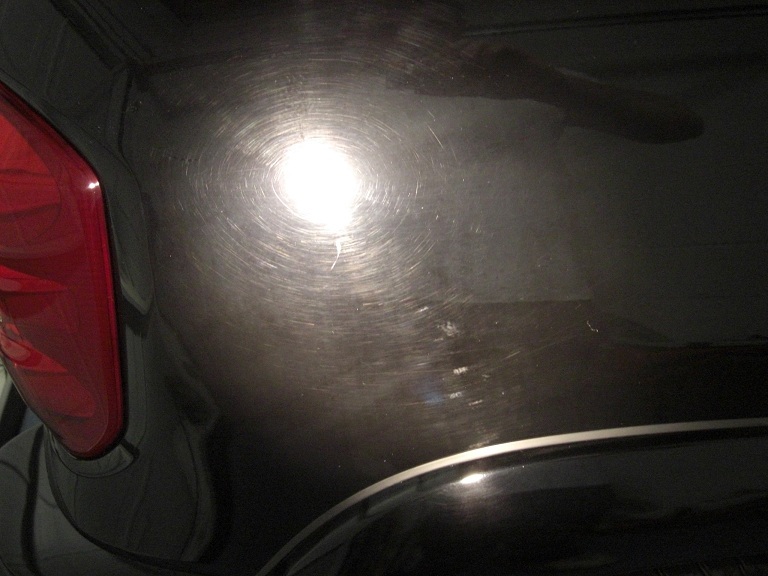 An untouched area of the boot lid. 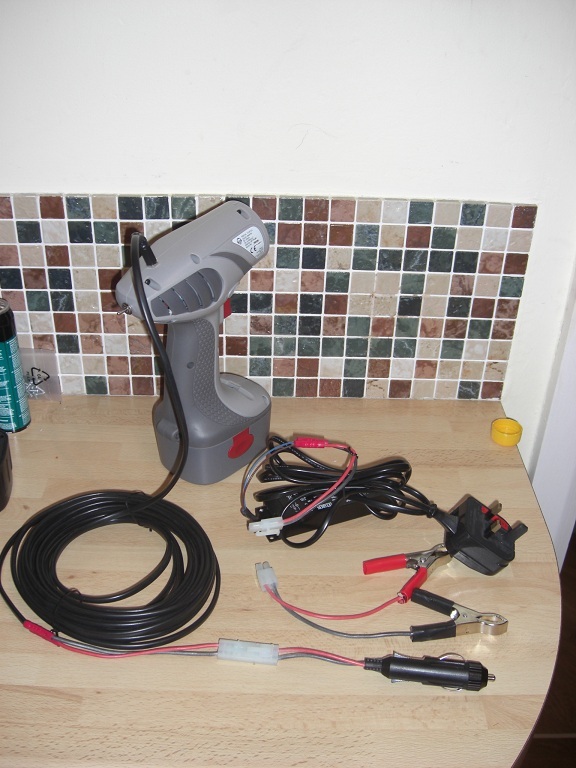 So that's everything; a DIY "SolarGun" for the low low price of €27.60. While it may lack a feature or two of the 3M Sun Gun, for 5% of the price it does 90% of the job. I'll add my guide below. Just need to get the pics sized up and remember the steps I did it in. Here's pretty much all the components you'll need if you want the same things mine has. You don't have to have it all. You can pick and choose the features you want. You might only need one option for external power instead of all 3 options etc. For external power you'll need a power cable & your chosen connection method e.g. transformer, cig lighter, car battery. I have a hot glue gun and soldering iron in there which come in handy but aren't necessary. Here's some of the extra components in detail. Top right in the Solux box we have the colour corrected bulb. Below that we have 4 battery type connectors (3 female & 1 male). 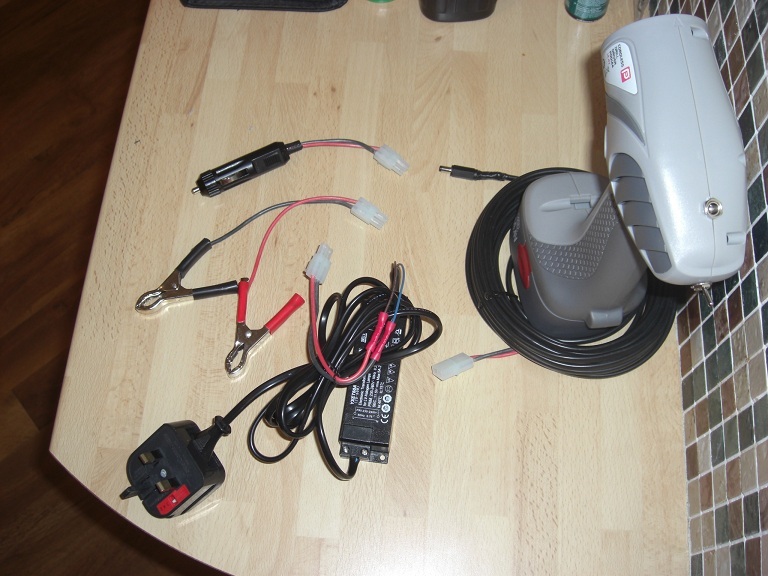 These will be used to quick-connect the 12v mains transformer, car battery or cig lighter connection to the power cable. If you only want one external power option you don't need these bits. Likewise you can use another connector of your choice. To the left of these I have car cig lighter plug. Below the cig lighter we have heatshrink to keep things professional. To the right of that we have a mini DPDT toggle switch to switch between internal or external power. Again this is optional but I'd recommend it. To the right of that we have the male and female DC connectors. Not in my final version I have a different female connector which was more simple to mount. Again there are other ways of making this connection so feel free to make your own mind up. The first thing to do is unscrew the cover and pull it apart to see inside. The first thing to do is cut the red and the black wire which connects to the drill motor. Cut it as close to the motor as you can. I used pliers. 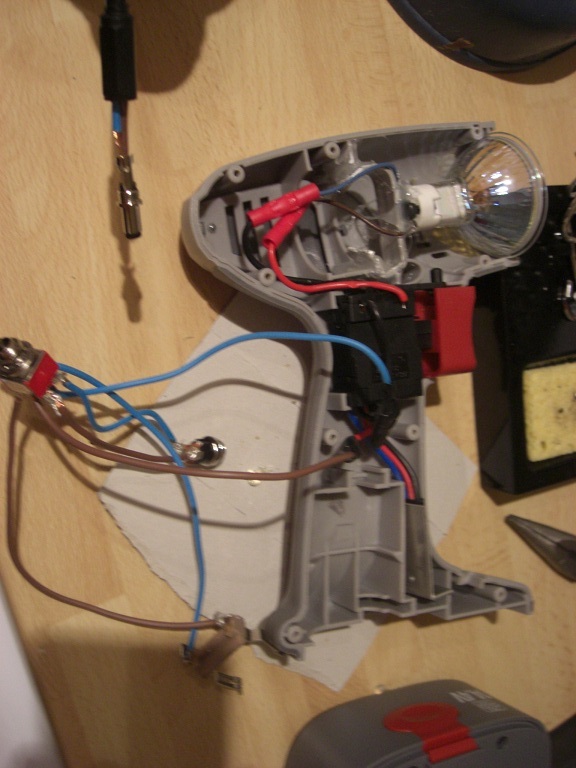 At this point all you need to do is connect the bulb using crimps (as per Zero above) or solder. I used crimps to begin with as my soldering iron was kaput. You don't need to solder them but tbh buying a solder iron and some solder is as cheap as buying crimps and crimping tool. It's a bit more professional. You can check it works but putting the clip over the battery (make sure it's charged) and pulling the trigger. If you don't want to add external power just jam the bulb in using whatever you have to hand (I used a hot glue gun) you're off! Congratulations. Remember you might have to change the bulb at some stage so try and keep it flexible so you don't have to get your glue out again. It shouldn't need changed often (if at all) but it's worth bearing in mind. 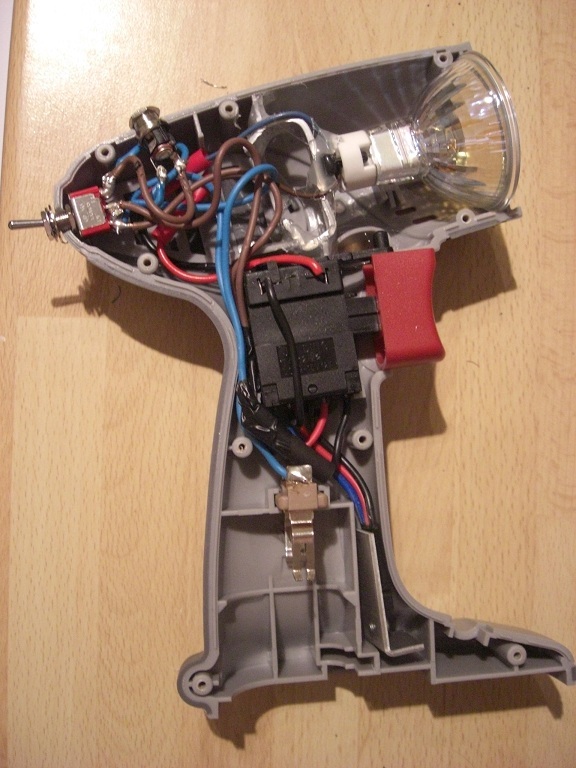 Here's an internal pic of how the bulb sits. You should end up with something like this once all your soldering is done (I know I've got some crimps in there still, it'll be sorted. It's not the best pic but coming down from the top is the power cable with the DC in jack. 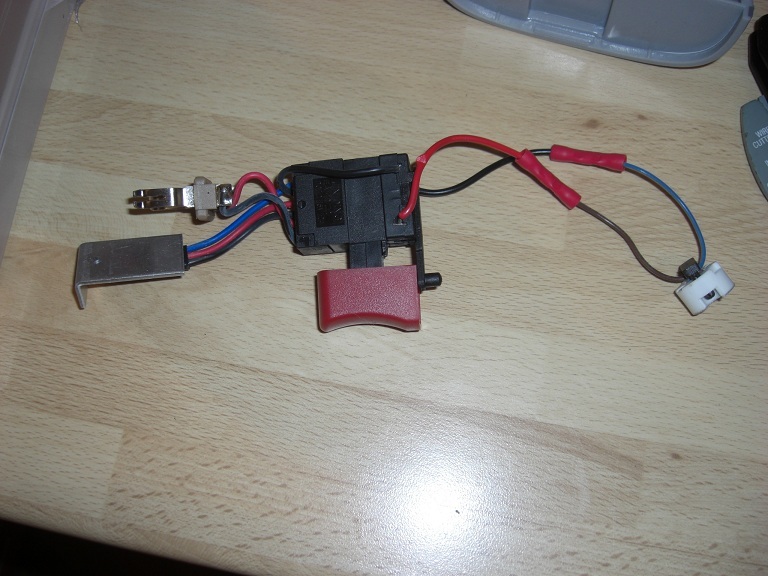 You can see the toggle switch is connected to the internal battery contacts, the DC jack with power going to the main trigger switch. Slightly clearer here. You can also see how I have glued the bulb holder in place with a piece of aluminium I had lying around. Next you need to drill the holes to take the toggle switch and DC jack. Check your fitmet inside the drill to make sure they'll fit in where you want them and that you can run the cables within the housing. Mark the outside of the drill so you know where to put the hole. Screw the casing back together then drill each hole. I think it's 8mm or 6mm but it tells you on the pack. Be careful not to slip here and go gently. Once the holes are drilled and connections made it's just a case of fitting the switch & DC jack to the hole. You might need to do some very minor trimming for a good fit. I just used a craft knife. Here's a pic of mine before I tidy up the connections and shorten the wires etc. You can see my 3 external connections here. The mains transformer came with the B&Q bulb holder for £8 - you just need to connect the plug & cable. I used an old power chord I had in the loft and just cut the end off it. It took two minutes. 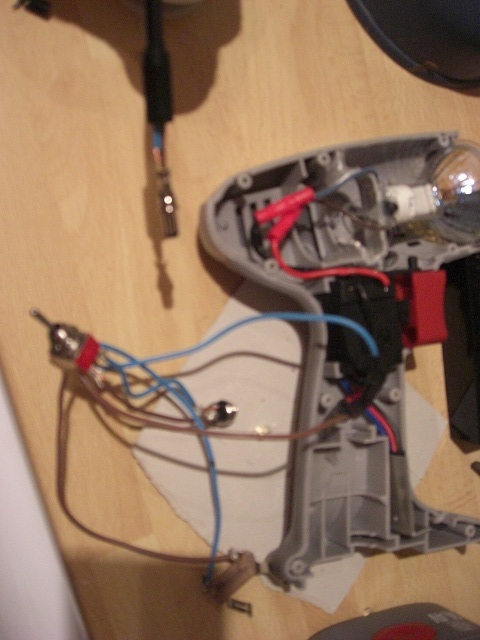 Edit: Had some issues with the bulb running off the transformer but it works fine off the car battery. Never actually used the external power source so I probably wouldn't bother next time. Left instructions up just in case anyone wants to know how to do it. If any traders want to know where to import the bulbs from PM me. For single purchases I recommend searching for Svenlight. Just make sure it's the Solux one with the same qualities as detailed above i.e. 36 degree, 35 watt, 12v, 99CRI (all solux bulbs have 99CRI). Last edited by Nanoman; 15-05-2012 at 08:57 PM. 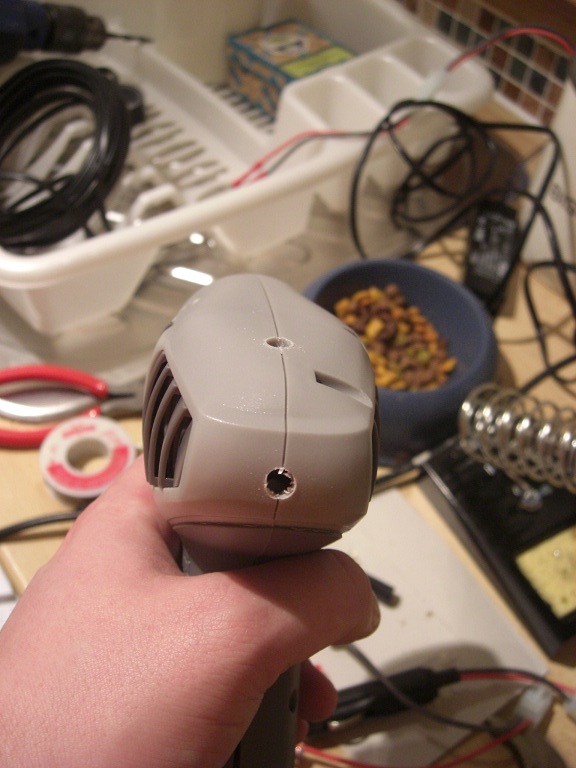 would it not be easier to modify a cordless torch? You can modify a plank of wood to do this - seriously. Most torches aren't 12v-14v and don't have the variable brightness. It's up to you so to answer your question 'it might be depending on the torch'. 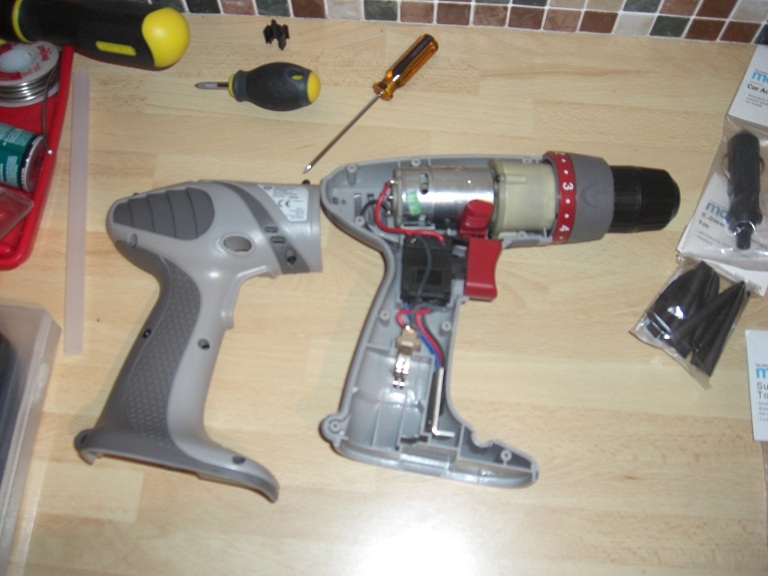 I have an 18V cordless drill. Is this going to be a problem? I'm not qualified to advise but if it was me i'd give it a go. Bulb might blow on full power. It's 50% more than it's designed to handle. 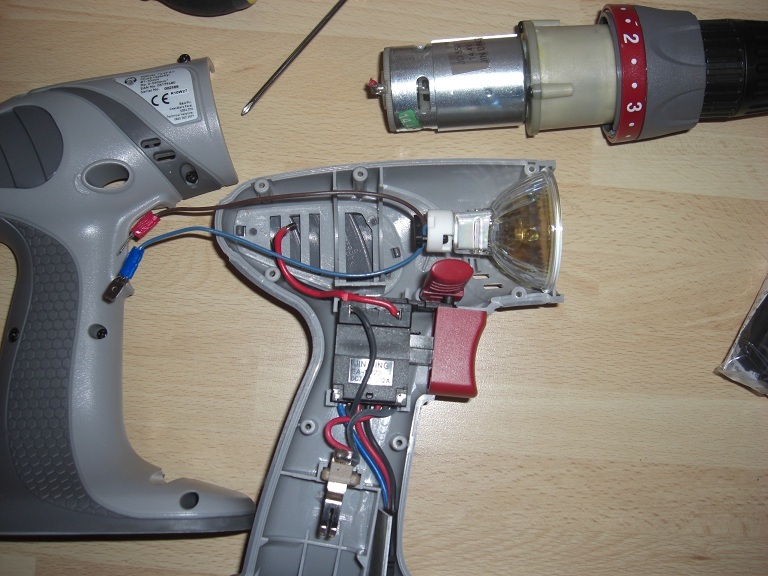 You can quickly try it by connecting a bulb directly to the battery terminals without having to modify the drill in any way. Let us know how you get on - take sensible precautions. Last edited by Nanoman; 01-03-2011 at 01:20 PM. Result - very bright bulb, not sure on the longevity of the bulb but it lasted a good couple of minutes before I got bored, tried a quick succession of on/off/on/off and it still didn't blow. So, it would work, but, it may get a little hotter, after all, you're putting 50% more voltage through it. Thanks for working this out and posting it. This is def on my "jobs to do" list.